How questions are related but different than thoughts. Why a question can reveal your thinking. 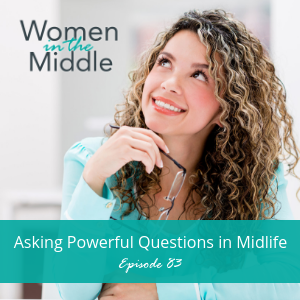 Why asking powerful questions can change your midlife. How questions like “why?” can be super helpful with your awareness. Understanding the impact of a positive and negative questions. How the quality of the question helps you with the quality of your answer. Powerful questions can help you think better and deeper. 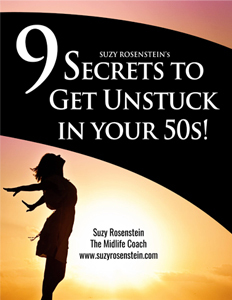 When you practice asking yourself better questions in midlife especially, you help yourself increase awareness of your actual thoughts. This is because a question isn’t the same as a thought, but asking questions sets up your brain to look for answers immediately. That’s why it’s so important to get your brain working in a way that serves you. Some questions don’t help this process; other questions do. You can learn to think better thoughts and produce better answers. Seven examples of great questions are introduced and discussed. Feel free to practice them yourself and make them your own! Supervising your mind more intentionally helps you see how you’re just one amazing question away from creating the life you want, on purpose!